We like the screens Visual LANSA Framework creates with the searches, filters and tabs. Boddie-Noell Enterprises Inc. (BNE), headquartered in Rocky Mount, North Carolina, is a diversified, family owned company with interests in a variety of restaurants including over 340 Hardee's franchise restaurants, 30 Texas Steakhouse & Saloon restaurants, nine Moe's Southwest Grill franchise restaurants, six Café Carolina and Bakery restaurants and one Highway Diner. BNE uses Visual LANSA Framework for virtually all development in its restaurant business. Phyllis Hardee, director of programming services at BNE, said, "Using a single LANSA language and methodology, my team has been able to develop and support the applications that help our business grow and be more efficient. The systems we have delivered are flexible and user friendly and help us to manage over 380 restaurants across five brands with a small group of managers and accounting staff. I am very proud of my team and what we've accomplished." The systems we have delivered are flexible and user friendly. 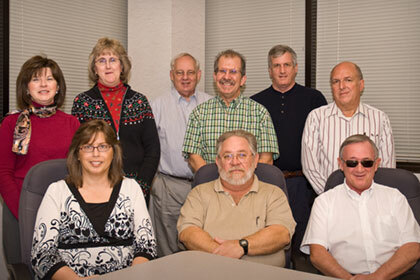 The BNE development team, clockwise: Phyllis Hardee, Deborah Webb, George Staton, Roland Letchworth, Frank Folsom, Jimmie Hudson, Wayne Wobbleton, Randy Griffin, Paula Wright. The BNE story began in Fayetteville, N.C. in 1962 when Carleton Noell and his two entrepreneurial nephews, Mayo and Nick Boddie, opened one of the first Hardee's restaurants. Fast food was a relatively new concept back then, but BNE's commitment to friendly service and great tasting charbroiled burgers established it as one of the industry's leaders. BNE has been steadily growing since and added other restaurant brands to its holdings. Today the company also develops commercial and resort properties and is one of America's largest family owned companies with over 12,000 team members. Since the late eighties BNE had been running its restaurant business on an IBM mainframe with in-house developed applications, but the systems lacked flexibility. Simple matters like setting up a new discount or a new restaurant required involvement by the IT department, let alone adding a new brand. Moreover the system was not Y2K compliant and when the year 2000 approached, BNE decided to migrate its system from the mainframe to the AS/400 and then redevelop. "Initially we just brought all the programs over to the AS/400 and made them Y2K compliant, without further improvements. We just needed to get up and running quickly, knowing that we would revisit the system later to redevelop it properly," explains Phyllis. "We didn't consider RPG and COBOL a good way forward. We were looking for a language that we could use across the board, something that all our developers could relate to and something that would help us create modern and good looking applications." "LANSA stood out and after intensive research we decided to go with LANSA to redevelop our systems." "We opted to use Visual LANSA Framework, because we liked the Outlook-style screens it creates with the searches, filters and tabs. Users can easily swap between sales, invoicing and other application areas, without having to navigate through multiple menus," says Phyllis. "Over time we built a lot of applications and it's all organized very neatly with a tree structure on the left and tabs on the right." We like the Outlook-style screens Visual LANSA Framework creates with the searches, filters and tabs. 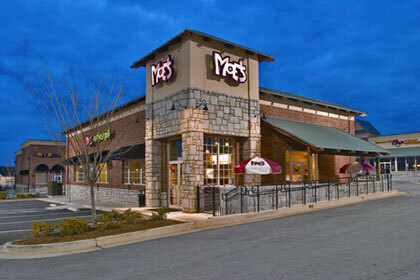 Moe’s Southwest Grill is a fast-casual concept featuring fresh southwest fare in a fun and engaging atmosphere with over 400 locations nationwide. One of the first applications that BNE developed with Visual LANSA Framework was the Unit Master application, which serves as the anchor for all other applications. It houses all of BNE's restaurants with links to the brand they belong to and a variety of codes and parameters that direct the system how to process transactions for each restaurant. Through the night the restaurants are 'polled' for their daily sales and marketing data, which is mostly generated by the Point-of- Sales (POS) systems, complemented with additional inventory, payroll and cash register information that is entered via forms and spreadsheets. The restaurant data is then fed into the LANSA-built corporate system. The programs provide BNE's accounting specialists with an easy online facility to find and analyze exceptions, such as cash imbalances, missing or incomplete data and other abnormalities. "The exception reporting is a real time saver," says Phyllis. "The system recognizes abnormalities and gives the accounting specialists the opportunity to drill down to further details. Most problems are solved right away in the morning, even before the restaurants begin their lunch business." Next to using online analysis, BNE also uses Visual LANSA batch reporting to provide restaurant managers, district managers and other management tiers with consolidated sales, marketing and purchase information. The marketing data that is captured is extensive. Every time the sales key is pressed at a restaurant's cash register, information about the order is saved. "This allows marketing to analyze demographics and food preferences, such as popular food/drink combinations. The information allows us to fine-tune our decisions and measure the effects of promotions and discounts, "says Phyllis. The information allows us to fine-tune our decisions and measure the effects of promotions. 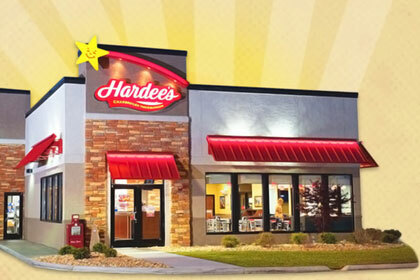 Hardee's is widely known for bringing sit-down restaurant quality burgers to fast-food customers. BNE's Vendor Invoice system is another Visual LANSA Framework application that has resulted in efficient procedures and substantial savings. All of BNE's vendors are encouraged to send their invoices electronically. "We accept anything that we can get a vendor to provide us electronically, including spreadsheets and flat files," says Phyllis. "Some of the vendors are smaller operations and they may not have access to sophisticated IT systems." Initially the vendor provides a master file of products and prices, which BNE processes into their Vendor Price Master system. Once a vendor has been setup with products, prices, GL and other codes, all invoices that vendor sends will be matched against the master data and the responsible account specialist will be alerted about any invoice items that aren't recognized or prices that don't match. "We use it for all our vendors, whether they deliver food or uniforms. The system makes it easy to find and investigate invoices that don't match and it provides detailed statistics. "The system eliminates a tremendous workload, as the account specialists don't have to enter invoices manually or count and compare invoices in case things don't add up. Accuracy has improved greatly and vendors are getting paid quicker." "The systems we have developed with Visual LANSA Framework help us to manage the administration of over 380 restaurants across five brands with just ten account specialists." We can manage the administration of over 380 restaurants with a small team. Phyllis and her team have designed the system for ultimate flexibility, allowing users to easily add new brands, new payment methods and so forth. "We only had the Hardee's and Texas Steakhouse concepts when we developed the sales system, but you never know what lies in the future. So, we set up our sales system as flexible as we could. Everything is table driven and nothing is hardcoded," explains Phyllis. "When we opened our first Moe's Southwest Grill, all we had to do is setup a few new tables. When the first polling came in everything just rolled automatically from there: the exception reporting, the daily and period sales reports, payroll, invoicing and marketing reports. Everything just worked, without us having to add or change any code. We can just plug in a new brand and we are all set." The same flexibility applies throughout the system. Users can setup new product categories and define new discount rules, such as 'second burger for half price' and specify the GL account to which that discount should be posted. Food specialists can simulate a recipe change and run reports to calculate what the cost effect would be. "Whether it is setting up a new brand, a new product or a new recipe, our users are in control and can do it themselves," says Phyllis. "My IT team is out of the picture because no program changes are required. I can't stress enough how important it is for our business to have that kind of flexibility". We can just plug in a new brand and we are all set. Now that most of the restaurants have broadband access, BNE is planning to provide applications over the web. Initially these will be on the payroll side, allowing staff to choose their own benefits, change their contact data and access their roster. Also on the agenda is providing web access for entering claims, such as employee work compensation. Eventually all Outlook forms at the restaurants will be replaced with web applications, providing the benefits of real-time access and validation at the source. "We will be using the same secure Visual LANSA development environment, but this time we will deploy the application with a browser interface rather than a Windows interface," explains Phyllis. "We are really excited to go in the eService direction and plan to do the project with our own team. The new web application will be designed for different access by different tiers in the organization, such as employees, restaurant managers, district managers, and so on. It will remove the need for rekeying information and a lot of other inefficiencies." "Coming from COBOL, RPG and green-screens, there was a learning curve to develop graphical Windows applications. But with Visual LANSA Framework our developers picked it up pretty fast. We continually refresh our training as LANSA makes new versions available to make good use of the release enhancements that come along." "With a small team and a single LANSA language and methodology we have been able to develop and support the applications that help our business grow and be more efficient. I am very proud of my team and what we've accomplished, and I know there is a lot more to come," concludes Phyllis. We will be using Visual LANSA again, but this time with a browser interface rather than a Windows interface. Boddie-Noell Enterprises Inc. (BNE), headquartered in Rocky Mount, North Carolina, is a diversified, family-owned company with interests in a variety of restaurants including 341 Hardee's franchise restaurants, 30 Texas Steakhouse & Saloon restaurants, 9 Moe's Southwest Grill franchise restaurants, six Café Carolina and Bakery restaurants and one Highway Diner. BNE is a privately held company with over 12,000 employees. The LANSA based systems integrate with Lawson Financials and Xpient and Micros POS systems. BNE uses an IBM I model 520 with 200 internal users.